Is Zidane the Right Man to Replace Mourinho at Man United? When on the verge of losing your job, there are moments where you find yourself wishing for a miracle. Well, José Mourinho got exactly that, as he saw his Manchester United team - a group full of players who reportedly want him gone - stage an impressive comeback that enabled the Red Devils to come out 3-2 victors at Old Trafford. Even with reports suggesting that Mourinho was going to lose his job regardless of the result surfacing before the late Saturday kick-off, this game was hugely important to the Portuguese boss, who remains odds-on with multiple bookies to be the next Premier League manager to leave his post. Although it was a savoury moment in a season where direness has taken precedent, this win has just prolonged Mourinho’s time at Man United for a few more weeks. Realistically speaking, he is unlikely to overturn the public perception of him this season, and with such gruelling fixtures coming up in a short period of time - such as Chelsea, Juventus twice and the Manchester derby – results are going to dictate the manager’s future at Old Trafford. Many fans have been calling for Mourinho’s head for some time, especially when the arduous fall-outs began last season with certain players. Luke Shaw, Paul Pogba, Eric Bailly and Anthony Martial are just a few of the first-team squad who have experienced first-hand what it is like to receive the Mourinho cold shoulder. For one reason or another, the former Chelsea manager has locked horns with some of United’s best players, causing division between him, his own men and the fans. With such volatility currently surrounding Mourinho’s tenure at United, there has been very public talk of replacing him so early on in the season. Instead of leaving it until it’s mathematically impossible to salvage the campaign - just as United’s board did with Louis van Gaal – there is still time for the Red Devils to cut ties and bring in some fresh hope and optimism. One available manager that springs to mind immediately is former Real Madrid boss, Zinedine Zidane. The three-time Champions League winner left his post after achieving all that he thought he could in Madrid, taking a sabbatical from football and waiting for a suitable job to become available. Although his agent, Alain Migliaccio, has suggested that managing in England is not a preference of his French client at this moment in time, money talks and the project at Manchester United is one that most, if not all, managers would snap their hands off for. The lure of Zidane lies in his ability to manage dressing room egos, as he did at Real, as well as bringing in unprecedented success to Los Blancos. While his management philosophy is not a revolutionary one, Manchester United need a figure who can quell the noise around the club and promote positivity. There are still some question marks over Zidane, primarily because he’s only managed at one club, but benefit of the doubt must be given due to what he achieved in Madrid. The Frenchman is currently the clear favourite at 5/4 with Paddy Power to take over should Mourinho be sacked. Perhaps the most obvious return to management would be with his former club Juventus, which is a position that might become available come the end of the season if Massimiliano Allegri fails in achieving European success - especially with the new addition of Cristiano Ronaldo. However, even in the current crisis, Manchester United remain a massive club that most managers would dream of being employed by. With the enormous budget that can be put forward to transfers and salaries, the Red Devils can compete with other super clubs providing they remain in the Champions League. 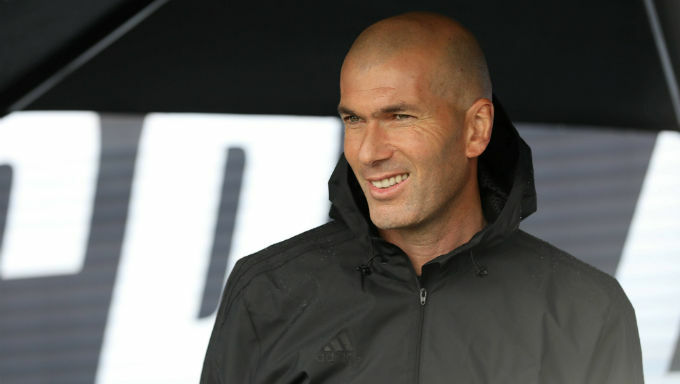 Zidane would want to oversee who he brings in at the club, which might cause him to clash with Ed Woodward, the executive vice-chairman, but sooner rather than later, the former banker must relinquish his control over footballing matters by appointing a continental management team behind the scenes. Just as he did with Real, Zidane would promote youth players into the first-team and have Manchester United playing with the freedom of expression they long for. It would be fascinating to watch how Pogba and Martial, for example, develop under the guidance of the Frenchman, as well as the team adapting to his attacking brand of football. In a time where United fans have been largely drained of true excitement, Zidane could be the professor who reinvigorates their love for the club. If Not Zidane, Then Who? An outside contender for the job would be recently sacked Leonardo Jardim. Although the Portuguese manager has struggled significantly at AS Monaco this season - with the Monégasque club sitting in the relegation zone - many would put that down to the high turnover of players each summer coming in and out of the independent city-state. Similarly to Zidane, Jardim would offer something different on the touchline at Old Trafford to the manager being there now. When coaching a team in its pomp, Jardim took Monaco to the semi-finals of the Champions League, as well as beating Paris Saint-Germain to the Ligue 1 title, before being stripped of its quality stars. When given the resources and time, he has proven that he can cultivate a group of players into winning decorated trophies. Another string to Jardim’s bow - who is currently an outside choice at 10/1 to take over with Paddy Power - is his ability to promote from within. Just as he did with Martial at Monaco, Jardim has a natural way about him that connects with the younger players of today and can turn them into global stars. Both managers are suited to the job, but Zidane does carry with him more success due to his illustrious three years at Real. Whoever Manchester United decide is the right man to be their next manager, they must be able to get the Old Trafford faithful back on side and filled with pride of watching their beloved team again. Who’s The Best Value To Finish Third In The Premier League?